7:00 PM The Rosary will be recited. When reflecting on the life of Colleen Schanz, it is easy to see that she was truly beautiful on the inside and out. She was kind, compassionate, and accepting of everyone as she had a true servant’s heart. Deeply devoted to her family, Colleen was so proud of her children and grandchildren who follow in her footsteps as they pursue their own individual passions. She had a positive and upbeat attitude no matter the circumstances around her, and even when life was difficult she counted it all as joy.  With the Catholic faith engraved upon her heart, Colleen lived a life of purpose each and every day. Deeply loved, she will be forever missed. It was great to be an American during the decade that we often recall as the Roaring Twenties. Jazz music, ballroom dancing, and motion pictures in both color and sound were among the most vibrant threads woven throughout our cultural fabric during this time. With innovation leading the way to new technology, prosperity was largely felt nationwide. Amidst this exciting time was a time of great joy in the lives of John and Veronica (Wiever) Haley as they announced the birth of the baby girl they named Colleen on December 29, 1927, in Portland, Michigan. Raised in Portland, she was one of two as she was joined in her family by her sister, Joan. Colleen’s father drove a truck delivering heating oil to homes for Standard Oil while her mother focused her time and attention at home. She attended local schools, and shortly after graduating from Portland High School she attended Borgess Nursing School in Kalamazoo, earning her certification as a registered nurse. With her education behind her Colleen spent several years working as an RN, first at Borgess and later for a few private medical practices. Not to be forgotten during Colleen’s years in nursing school was her introduction to the young man of her dreams. His name was Albert Schanz, and he was working in construction at the time. They began dating, and it didn’t take them long to fall deeply in love. 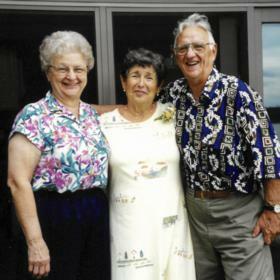 With a desire to build a life together, Colleen and Al were married in 1949. Together they welcomed three sons including Tim, Steve, and David into their hearts and home. Colleen’s family was her focus, and she was there for whatever her family needed. She loved all the family activities as both her husband and her children were involved in many different things including Boy Scouts, Little League baseball, the St. Mary’s Church annual ox roast, and Hackett High School football games among many more. Colleen never missed spending the summer with her kids while they were growing up, and they often rented a cottage on a lake somewhere. There was also the year that Al and the kids decided to put in an ice rink in the backyard. They went all out, and in order to keep it nice it required diligent nightly maintenance. Since it was important to her family, it was important to Colleen so she moved dinner to an earlier time to make it possible for them to get outside and take care of things before sunset every day. Colleen had a way of making the ordinary extraordinary, but she particularly loved special events. In 1968 she took her family to Florida to visit her parents, and in the mid-eighties she and Al vacationed in Hawaii and San Diego. 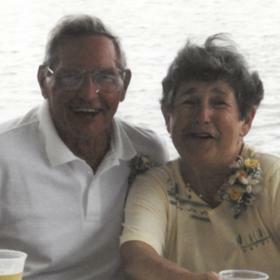 In celebration of their 50th wedding anniversary, they celebrated at their home on Portage Lake. Colleen looked forward to reunions of any kind simply because it brought people together. 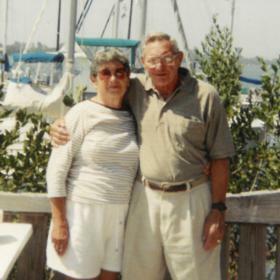 After retiring, she and Al bought their home on Portage Lake, and it was the perfect place for all kinds of things. She loved hosting and entertaining family and friends there. Over the years the family enjoyed swimming, paddleboarding, sailing, fishing, ice fishing, and grilling with family and friends all at their lake home. She was so proud of her children, and later, her grandchildren, too. Both she and Al highly valued education, and their children and grandchildren fully embraced this passion and became very accomplished in their educational endeavors. Throughout her life Colleen was someone who preferred to be busy. She was very active and supportive of various activities and efforts at her church, St. Mary’s Church, including several women’s groups. Colleen was also supportive of her kids being altar servers. After retiring she also worked for the Red Cross. Later, she became very active at St. Ambrose. Thoughtful, honest, and reliable are a few of the words that describe who Colleen Schanz was, but perhaps the word that paints the most accurate picture is generous. She lived to love and serve others, and her kind and gentle touch reached so many. Colleen was never one to let life get the best of her, rather, her strength carried her along the path of the peaks and valleys in her life. Although she will be deeply missed, Colleen leaves behind a priceless collection of memories that will be forever treasured by all who knew and loved her. 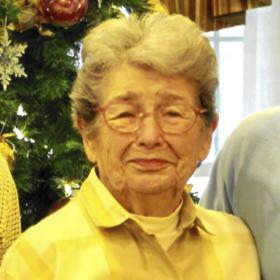 Colleen Schanz, age 91, died peacefully on January 17, 2019 at Brookdale Memory Care. 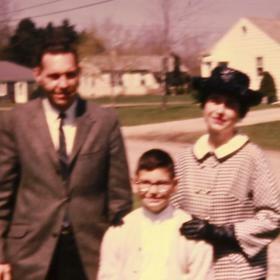 Colleen was born December 29, 1927 in Portland, Michigan, the daughter of John and Veronica (Wiever) Haley. She attended Borgess Nursing School in Kalamazoo and worked for several years as a registered nurse at Borgess Hospital and private clinical practices. Thereafter she also worked for the Red Cross. In 1949 she married Albert Schanz. Together they had three sons, Tim, Steve, and David. Colleen and her husband placed a high priority on education, ensuring all three of their sons secured college degrees, a trait which also carried on to their three grandchildren: Matt, who joined IBM, Taylor, who graduated from UCLA, and Jeff, who graduated from the U.S. Military Academy. As a lifelong Catholic, Colleen was very active in church activities both at St. Mary’s and St. Ambrose and was a member of many church groups. Colleen is preceded in death by her husband, Al. Surviving are her sons: Tim (Brenda) Schanz, Steve (Nancy) Schanz, and David (Jane) Schanz; three grandchildren: Matt, Taylor, and Jeff; two great grandchildren: Emma and Kate; and two step-grandchildren: Amy and Joe. Visit with family and friends on Monday (JAN 21) from 5PM-7PM at Betzler Life Story Funeral Home, 6080 Stadium Dr., Kalamazoo (269) 375-2900. The Rosary will be recited at 7PM. Mass of Christian Burial will be held on Tuesday (JAN 22) at 11AM at St. Ambrose Catholic Church, 1628 East G Ave, Parchment with entombment at Mt. Olivet Cemetery. 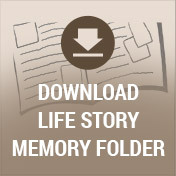 Please visit Colleen’s personal web page at www.BetzlerFuneralHome.com, where you can archive a favorite memory or photo and sign her online guestbook before coming to the funeral home. Special thanks to Hospice of Southwest Michigan. In lieu of flowers, memorial donations may be made to Hospice of Southwest Michigan.